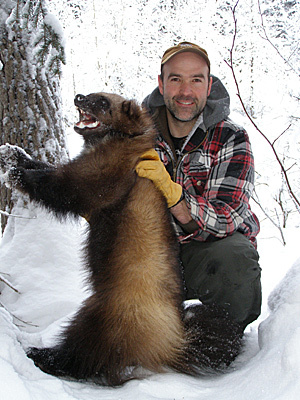 Alaska's abundant populations of furbearers provide Alaskans with trapping opportunities. Although Alaska's winter days are short and cold, trapping draws Alaskans outdoors to witness spectacular scenery and the silent dramas told in tracks and sign in the snow. Based on sealing records, license sales and the annual "Trapper Questionnaire," the Alaska Department of Fish and Game estimates 2,500 to 3,500 trappers in the state. There is a wide range of trappers, most are recreational trappers, and many trappers keep the fur. Some are fairly serious, and a few are very serious individuals who trap a lot of animals. Marten is the most important species statewide, and the fur is known as sable. Other furbearers, ranked in order of importance (as defined by trappers) are wolf, lynx, wolverine, beaver, fox, mink red fox, otter, coyote, ermine (weasel) and muskrat. You can buy your trapping license online, learn about trapping opportunities, read about furbearers and even pick up some trapping tips on this website. You can access the Alaska Trapper Questionnaire, an annual report (the responses to the questions) that provides a wealth of information about trapping, numbers and types of furbearers trapped, fur prices and value, trapping efforts by region, and includes comments from Alaska trappers.